Send summer off in style with Destin’s Labor Day events! There’s no shortage of fun in Destin, and Labor Day is just the start of it. After Labor Day comes all of Destin’s fun fall events, so send the season off in summer with fireworks, family fun, and more! Come for the Labor Day Celebration at HarborWalk Village on September 1st and 2nd. Enjoy live music each night with all the fun offered at HarborWalk. Paris Avenue takes the stage at 8:30, bringing you a blend of dance and electronic music you’ll be tapping your foot to all night long. The next night, on September 2nd, dance to country rock group Georgia Clay Band before enjoying a firework show at 9 PM. There will also be an exciting spinning fireworks display at 9:15 by Just Add Fire. HarborWalk’s Labor Day Celebration is free for the whole family, so don’t miss out! Visit here for more information. Baytowne ArtWalk is one of the area’s most popular annual events! Held at the Village of Baytowne Wharf from 5-10 PM August 31-September 2, festival-goers will get the chance to view work from some of the best artists in the Southeast. With over 30 vendors at Baytowne ArtWalk, check out the beautiful fine art, photography, sculptures, and more! Sip and stroll through Baytowne while enjoying live music and art displays. Watching the sunset from your own private balcony! There’s still time to book your Labor Day getaway to Destin with Southern Vacation Rentals. They have a variety of accommodations to fit your exact needs, from sky-high condos to beachfront homes with private boardwalks. But don’t wait! There are only 11 short days left until Labor Day weekend starts, so book your vacation now! 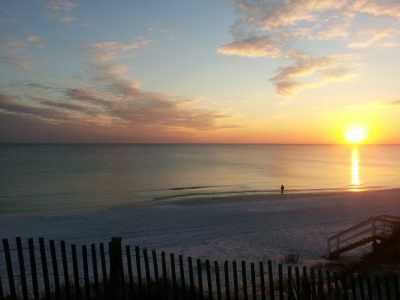 View Southern’s available vacation homes and condos in Destin here.